Michael Grabner suffered a brutal eye injury on Saturday in Arizona’s 6-1 win over the St. Louis Blues, as the Coyotes forward left the game after an errant stick from Sammy Blais hit him in the face. After the game, the 31-year-old right winger shared the photo of the injury, and it’s extremely NSFW. So here’s your warning. Yikes. That’s gruesome. His entire right eye is pink and filled with cuts and blood. Grabner is lucky he didn’t suffer permanent damage. It looks uglier than it is, not that it’s not a serious injury. 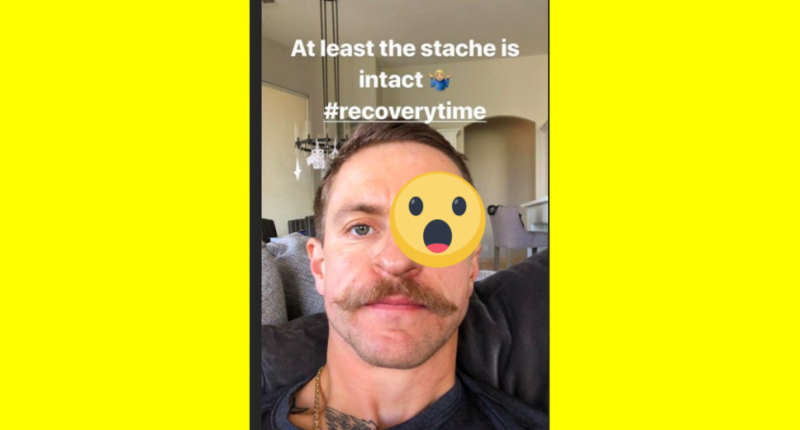 As Grabner mentioned in his caption, at least the stache was left untouched. That’d be a serious blow to his swagger. Joking aside, I’m glad Grabner is at home recovering. That’s a scary injury that could have been much, much worse. Hopefully, Grabner steps back on the ice with the Yotes’ sooner than later.